Glamping Hotel & Tent Hire - Lake Shkodra Resort, Shkoder, Albania. 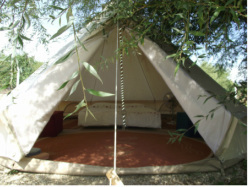 Camping, Glamping Hotel, Lodge, Holiday Accommodation. Restaurant & Bar. Excursions to Lake Koman, Shkoder, Thethi & Kruja. Thethi Guesthouse Hotel Booking. We have a mixture of accommodation available, ranging from our luxury lodge to our bell tent hotel rooms. With air conditioning, heating and mini-fridge. Communal bathrooms with toilet rolls, soap and hand towels. With fan, electric point & lockable front door. Mini-fridge. 100% cotton. Insect nets throughout. ✔ All 100% cotton bedding and towels provided.